Golf enthusiasts in Northern Virginia can enjoy watching one of the game’s greatest players take on the Robert Trent Jones Golf Club on Gainesville. Tiger Woods will be coming to the area to host and play in the Quicken Loans National from July 30th-August 2nd. He has previously won in 2009, when he set a tournament record, and 2012. For those golfers who would rather be playing than watching, luckily, Kingstowne offers a variety of venues to practice and play. 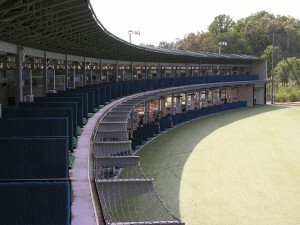 Top Golf on Van Dorn Street offers a competitive alternative to a driving range, a mini golf course, an outdoor patio, and an extensive food and beverage menu. For pure practice, Hilltop Golf Club down on Telegraph Road provides a 9-hole golf course for all skill levels and a classic driving range. 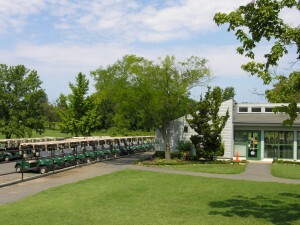 Finally, Greendale Golf Course, a public park run by Fairfax County, is an 18-hole regulation course with challenging fairways and water hazards. 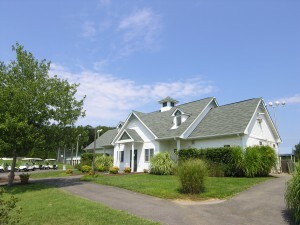 A clubhouse with food service, club and cart rental, practice putting green, and private lessons area all available at Greendale as well. It’s festival season! From now until the fall, every weekend will be packed with food, art, music, and dance festivals, among others. This weekend’s choices include a cultural dance event, a carnival, and a strawberry festival. Don’t forget to stop in at the American Art Museum for a performance of classic operatic pieces by one of the military’s best touring bands. In the 28th year of this celebration of the African Diaspora, watch incredible dances and musical performances and accompaniments. Companies from across the DC area will perform and teach during this 6-day festival. 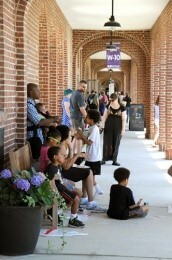 On Saturday and Sunday, attendees can also enjoy the marketplace and free outdoor events and activities. The first ever carnival at the Workhouse will take place this weekend in Lorton. The festivities will kick off Friday night with a screening on the Rizer Pavillon on The SpongeBob Movie: Sponge Out of Water. Keep going back on Saturday and Sunday for rides, food, live music, and the start of the “Stars on Sunday” concert series. All proceeds benefit Workhouse programs. 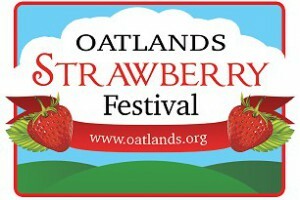 The historic estate will host its first ever strawberry festival, which is to become an annual event at the house. Visitors can take tours through the mansion, hayrides through the fields, enjoy live music, fantastic food, and creative activities. Of course, don’t leave without picking some strawberries to take home! The military’s most traveled musicians and the army’s premier touring group will perform operatic selections from Strauss’s “Der Rosenkavalier”, Verdi’s “Rigoletto”, Massenet, Rossini “La Cenerentola”, and Leoncavallo at the Smithsonian American Art Museum. Movies opening include Aloha, Gemma Bovery, Results, and San Andreas. In a celebration of the people and businesses of Springfield, on May 30th and 31st, the annual Springfield Days festivities will include PetFest, a car show, the Springfield Days Stride (a 2K race/walk around the area of the recently reopened Springfield Town Center) and the Springfield Market Expo. The weekend will officially launch with the proclamation delivered by Lee District Supervisor Jeffrey C. McKay at South Run Park. Browse the booths of more than 50 local business and discover great services and products including jewelry, produce, beauty supplies, and crafts. The American Legion Post 176’s car show, the farmers market, and the pet show are all can’t miss activities also taking place. 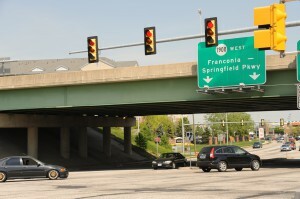 For more information got to www.springfielddays.com or find them on Facebook and Twitter. With the opening of Jennings Toyota on Loisdale Road in Springfield, a part of the package was a new astro-turf field at Loisdale Park. 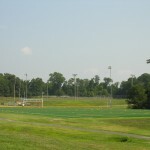 The grand opening of the field was on April 23rd and it’s now available for local sports team to play and practice. Across Washington, DC and Northern Virginia on Memorial Day weekend, events are held to remember, commemorate, and celebrate the men and women of our armed forces. 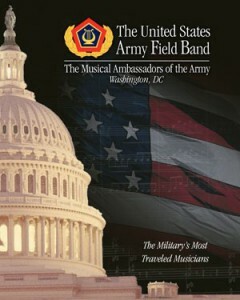 Recognize this day with performances by military bands or a tour through the covert side of military operations. Also, discover the Potomac River through complex and elaborate art. This hour and fifteen minute long ceremony features “The President’s Own” United States Marine Band, “The Commandant’s Own” The United States Marine Drum and Bugle Corps, The Marine Corps Color Guard, The Marine Corps Silent Drill Platoon, Ceremonial Marchers, and LCpl. Chesty XIII, the official Marine Baracks Washington mascot. 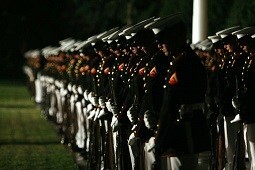 The parades have been a showcase of the professionalism, discipline, and Espirit de Corps of the United States Marines. 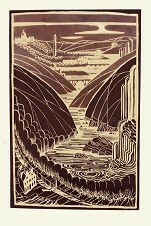 In a collection that celebrates the people and places along the Potomac River, John Gosling has created intricately detailed linocut relief prints that capture the area. Through June 1st, explore the culture that has arisen from this mighty river. Led by Conductor Loras John Schissel, the Virginia Grand Military Band is made up of retired members of the four U.S. service bands as well as hand-picked from across the country for their mastery of wind and percussion instruments. The band will perform selections for the “Classic Concert Band”. 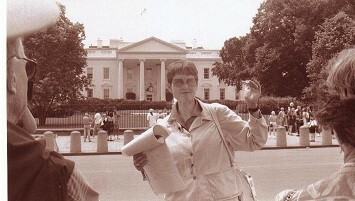 Outside the White House’s gates sits Lafeyette Square, the “President’s Park”, where brazen and courageous spies have met, planned, maneuvered and watched for decades. Explore tales of intrigue and espionage from the times of the Confederacy to the Soviet Union and learn a few secrets along the way. Movies opening include Aloft, Cowboys vs Dinosaurs, Poltergeist, and Tomorrowland. A vacant storage facility on Port Royal Road in Springfield is in the sights of U-Haul. The truck rental business is looking to convert the space into one of their new locations. The current timeline for the plan, pending approval by the Planning Commission and the Board of Supervisors, projects an opening at the end of 2015. The Old Town Theater will reopen its doors. Jeffrey Yates, an Alexandria businessman with ties to the automotive world, has bought the 100-year old theater with the promise to return it to its former glory. His proposal includes bringing music performances, educational programming, comedy acts, musicals, plays, community activities and even sporting event viewings. 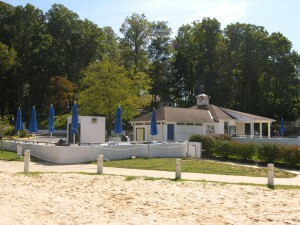 The theater was under threat of a complete gutting; the previous owner had reluctantly begun to consider selling the theater’s seating, equipment, etc. and leasing it out to a restaurant or store. 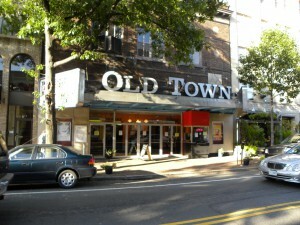 Now, the Old Town Theater has another chance to reassert itself as a fixture in Old Town Alexandria’s cultural landscape. Explore culture, history, and art this weekend at a variety of events across Northern Virginia and Washington D.C.. Argentina and China are celebrated at two unique festivals this weekend, while the American Civil War is commemorated with a review parade through the nation’s capital. 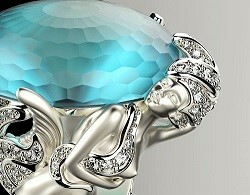 To cap off this busy weekend, be dazzled by the collections at an international jewelry show. Sponsored by the Chinese Women’s League of Washington, D.C., this 14th annual two day festival will see 47 teams race on the Potomac. 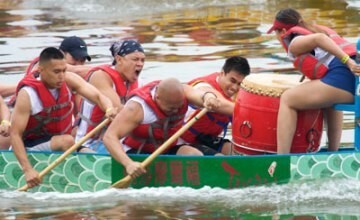 Along with the competition, spectators can also enjoy cultural exhibtions and craft demonstrations. Diamonds and gold and silver! Oh my! Browse the collections of over 360 exhibitors at this three day event. Costume and fine jewelry will be on display for all to see. 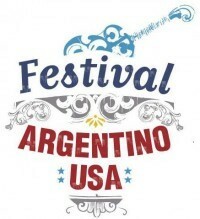 Since 1988, Argentina and its culture has been celebrated at this festival in Arlington. Fantastic music, authentic Argentinian food, and traditional dancing are just some of the things you’ll find at this commemoration of the May Revolution of 1810. 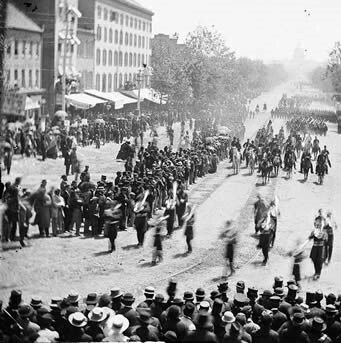 Travel back in time for this Civil War reenactment that features 6,000 to 10,000 marchers. As part of the official closure to the observance of the Civil war sesquicentennial, this patriotic parade will be as fascinating as it is informative. Movies opening include I’ll See You in My Dreams, Mad Max: Fury Road, Pitch Perfect 2, and Time Lapse. To celebrate National Bike Month this May, there are a whole host of option including events, classes, planning meetings and advisory committees across Alexandria. The area has continued to improve its bike-friendliness with an extension of D.C.’s Capital Bikeshare in Alexandria, bike lanes, and even maps off on- and off-road routes for a ride. 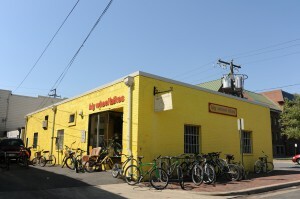 Alexandria’s bike map can be found at http://www.alexandriava.gov/localmotion/info/default.aspx?id=11546. Bike to Work Day on May 15th is a great incentivizer for trying out cycling as a commuting option. With a total of 79 “pit stops” across the area including Old Town’s City Hall/Market Square, Carlyle, Del Ray, and the BRAC/Mark Center, registered riders will have chances to stop in and grab some food, drink, a free t-shirt, and maybe even a prize. To register to join in on this event, go to http://www.biketoworkmetrodc.org/. When Dave & Busters left Bethesda after an 18 year stint, many were probably left wondering if the bar and restaurant would ever come back. Over a year after the closing of that location, Dave & Busters is opening at the newly renovated Springfield Town Center. In late 2015, mall shoppers will be able to stop in for a bite to eat, play classic arcade games, and catch their favorite team on the big screen TVs.